E Liquid Ingredients - What's in your e liquid & what are PG & VG? There are three base e liquid ingredients that you’ll tend to find in most vape juices. E liquids can also contain various strengths of nicotine, from completely nicotine free as found in our Short Fill E Liquid ranges, up to 20mg. This is the highest legal nicotine content in e cig refills or vape juices, set by the EU TPD E Cigarette Regulations. Cigalike e cig refills contain small amounts of eliquid which is produced from the same ingredients as listed above. 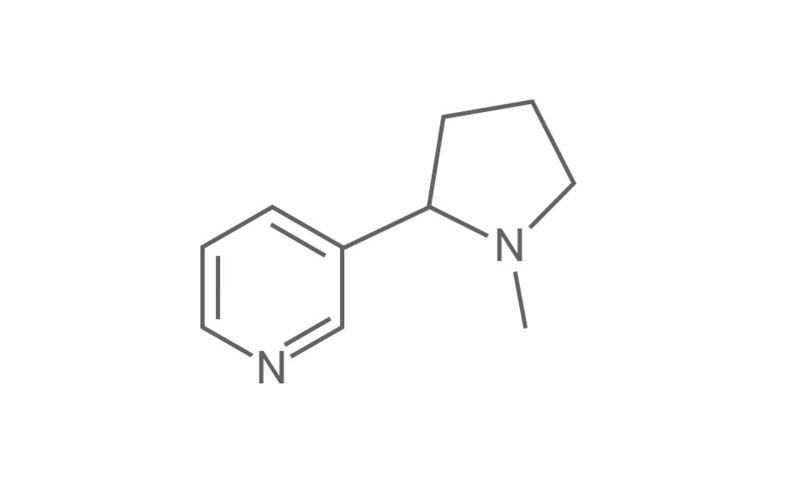 Nicotine is a stimulant substance which is considered to be addictive. It is a naturally occurring chemical found in the tobacco plant and it can also can be found in small amounts in some fruits & vegetables! 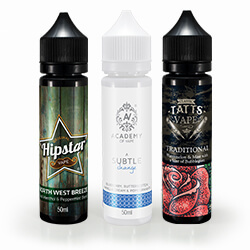 There are lots of e liquids available without nicotine in, particularly however many vapers choose e liquids with nicotine as this can help with the transition of switching from smoking tobacco to vaping. Short Fill E liquids are a great choice if you use a sub ohm vape kit because these are sold without nicotine. You can then either vape with the nicotine free liquid or add ‘nicotine shots‘, which are 10ml bottles of flavourless nicotine e liquid, to reach the desired strength. Propylene Glycol or PG is commonly used in the food industry as a preservative. It is also used in the UK medical industry and can be found in asthma inhalers. It’s a colourless liquid with a slightly sweet taste. Primarily used as a ‘base’ ingredient in e juices, it has a lower viscosity than vegetable glycerine. Vegetable Glycerine or VG is also a colourless liquid used in the food industry, mainly as a sweetener & thickener. 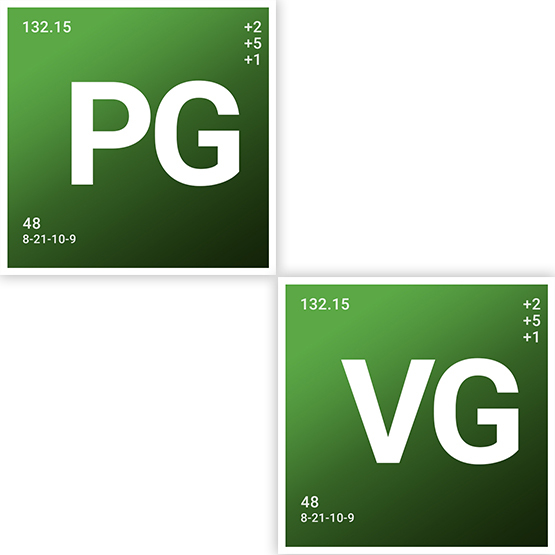 Like PG, VG is also used as a base for e liquids, as well as acting as a sweetener. It can either be synthetic or derived from plants or animals. What Do the PG/VG % in E-Liquids Mean? E liquids are produced with different levels of PG & VG. Differing ratios of these two ingredients will alter an e liquids throat hit, strength of flavour and amount of ‘cloud’. These mixes are displayed in percentages, often as ’80/20 PG/VG’ or ’80VG/20PG’, for example. See the chart below for an idea of what effect the different ingredient levels have. *Even High/Max VG juices tend to contain a small amount of PG, and vice versa. Can You use High VG E-Liquids in Ego Vape Pens? Our Sub Ohm E Liquid range has an 80VG/20PG ratio and is suitable for use with sub ohm tanks and kits such as the Smok Priv V8 and Aspire PockeX. It’s not recommended to use sub ohm e liquids in ego vape pens or standard, above ohm tanks. 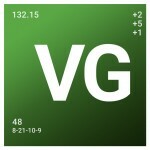 VG has a higher viscosity than PG and therefore atomises at a different rate which can cause a burning taste. It can also ruin your coils. Can You Use High PG E-Liquids in Sub Ohm Kits? 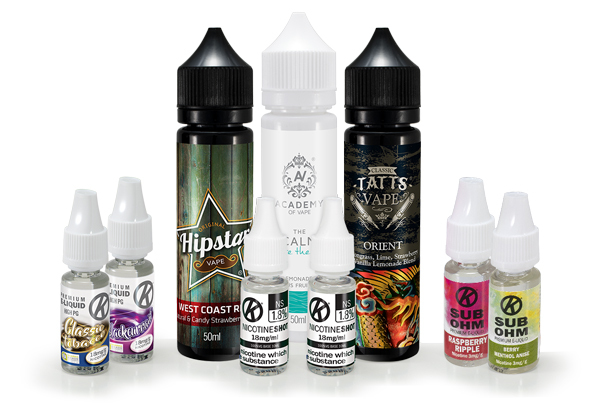 The OK Classic E Liquid range is a 70PG/30VG mix for great flavour and subtle vapour production in ego style vape pens and other above-ohm clearomizers and kits. We don’t recommend using high PG e liquids in sub ohm tanks or kits. High PG e liquids have a thinner consistency and therefore heat & atomise at a faster rate than VG based juices. You might therefore experience a burning taste and very harsh inhale if you try to use them in a sub ohm tank. Some vapers like to use a 50PG/50VG ratio in sub ohm tanks. 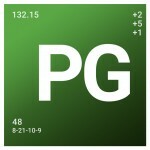 This is the highest ratio of PG that we would recommend for use with them. Confused About Sub & Above Ohm? Read our guide to different types of vape kits for more information..